Long, uninterrupted, well-maintained, homogeneously calibrated time-series of ground-based remote sensing atmospheric ozone measurements have been and still are the backbone for the validation of ozone columns measured from satellite (Brewer-Dobson-Networks). There are no comparable networks for other satellite-derived trace gas measurements (e.g. NO2, HCHO). 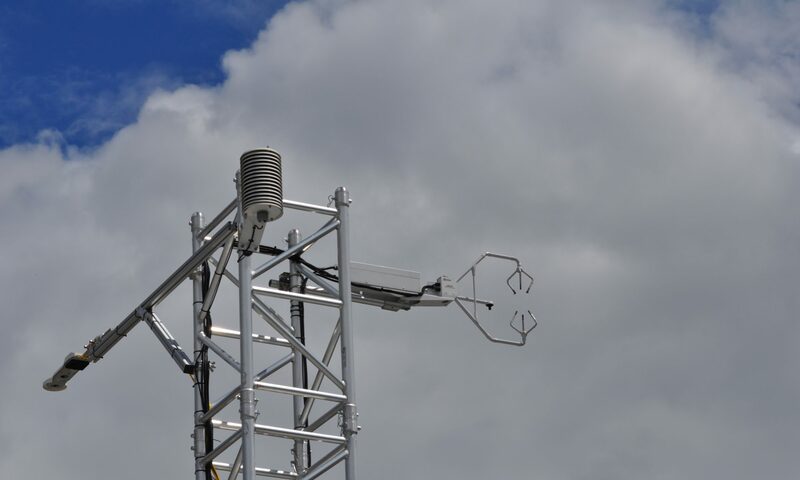 The Pandonia Global Network (PGN) is a collaborative effort between ESA and NASA with the aim to close this gap by providing fiducial reference measurements for satellite validation and air quality monitoring. The main instrument of the PGN is the Pandora and Pandora-2S spectrometer system. The APC group is collaborating with LuftBlick, the company designated to be in charge for the calibration, operation and scientific development of the PGN. 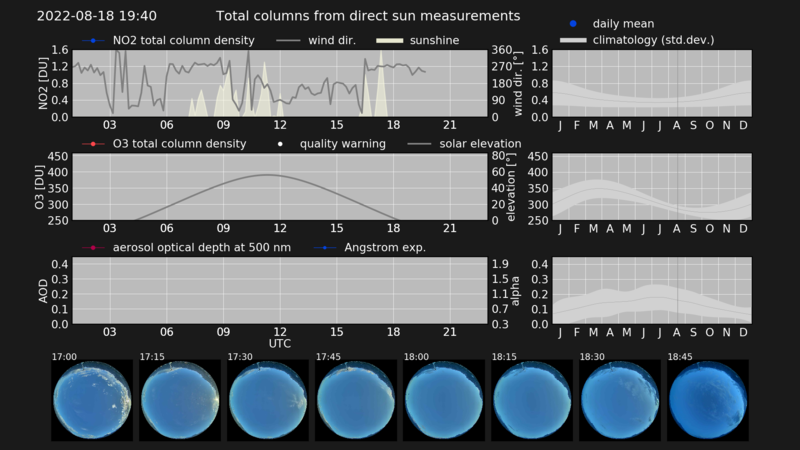 Current total columns of NO2 and O3 retrieved from a Pandora-2S in Innsbruck.